Posted December 11th, 2013 by David Porter & filed under General, Hot Topics, Social. Christmas – a time to give appropriate gifts to your loved ones. Or not. We’d thought we’d suggest – Christmas Present Ideas If You’re Still Struggling About What to Get. As part of our service to readers, MBF Blogs offers a few timely gift suggestions if you’re getting desperate, Christmas so close now as it is. This year it’ll be interesting to see how many people give e-readers or other tablets. Minis are reckoned to be very popular, with analysts calling them ‘ a pent up market’ and 11 million expected to fly off shelves and into wrapping paper in the UK this year. The Tesco Hudl (around £120) and the Argos My Tablet (£99.99) are shaking up the iPad affordable market monopoly. Clearly there is an adult market, but the big growth is in younger teenagers and pre-teens. But we have some other helpful suggestions. They do other things too to help bulk out the stocking. Marketed at small children, some have suggested that this device, Big Mother, described by Netmums as ‘fly on the wall’ could also be handy for watching your teenagers too. It combines sat-nav technology and systems that police use to track criminals, and it seems many children are using them to bargain with their parents, agreeing to wear them (like a wrist watch) in exchange for other favours. Big Mother doesn’t yet have a microphone and is available in Japan and the US with British demand growing, at around £400. Soon it will be widely available. Could be useful for the elderly, the forgetful or those who are suspected of some wrongdoing. Big Mother knows best. 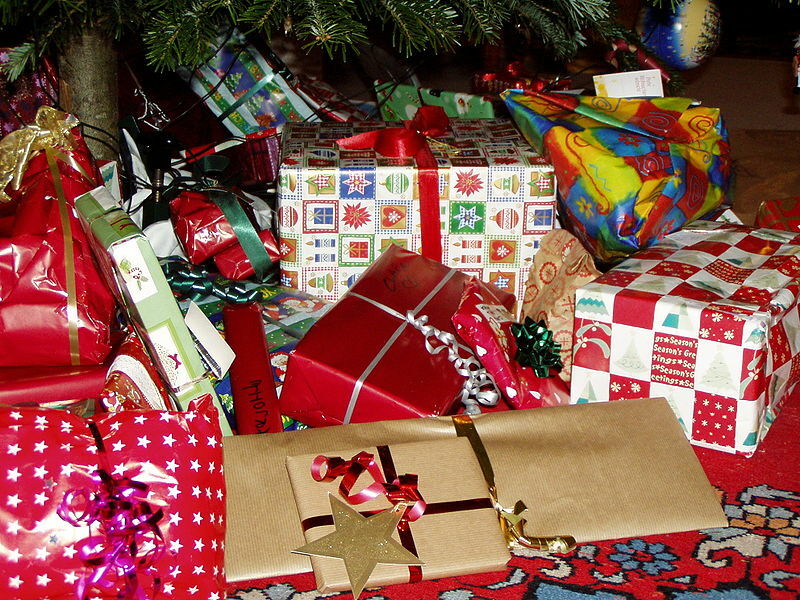 Giving to teachers at Christmas and end of the year has become quite widespread. It does depend on how pupils perceive the teacher, of course. But a new gizmo could be given in jest or for real. The Chatter Box device is now set to identify which children are talking while teacher’s back is turned. It sits on the teacher’s desk sporting a light that is triggered when a pupil reaches a pre-determined noise level. The inventor, Iain Greenwood, a student from Brighton has designed it, very thoughtfully, with a powerful suction pad so it cannot be removed by youngsters. Hamley’s Toy Shop in London has claimed that toy pets will dominate this year’s Christmas market, such as Robo Fish that swims like a real one and Teksta Puppy, an updated interactive dog. At the top of the range for the really indulgent parent, there is a hand-finished prancing pony retailing at a jaw-dropping £850. Daan Roosegaard calls them ‘Legos from Mars.’ Mmmm. The answer is probably don’t. They don’t need lots of tablets, complex whizzes on the net or smartphones that sing, dance and make their tea. The first kettle that can be switched on from any point in a house is now available. The iKettle which uses wi-fi technology also heats water to the chosen temperature. Once boiled the kettle sends a message to the owner’s phones and will even keep the water at the same temperature till the poor human has dragged him or herself into the kitchen. A robot would be needed to actually make and serve the tea for you, but that will be here soon. In the meantime this kettle is for sale at around £100 and you still have to actually fill it with water at some point!